CClient is an IOTA client library implemented in C. This is one of the modules in the entangled project. 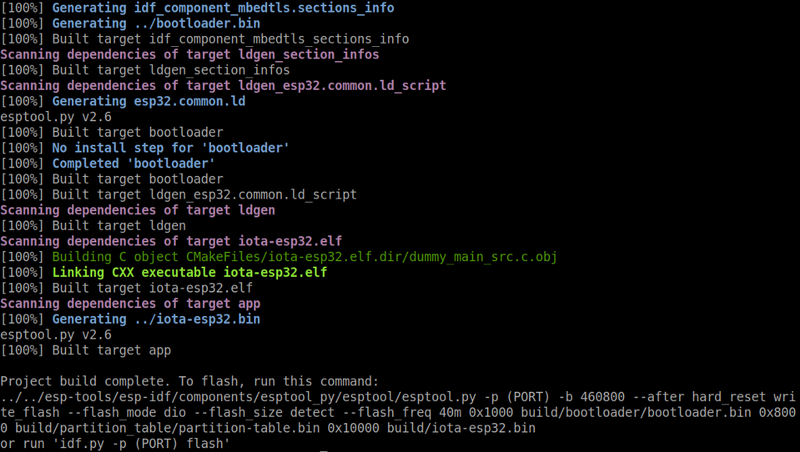 This post outlines how to run CClient in the ESP32 development framework. If you are new to ESP32, please follow this document to build and run a hello_world example. Below we describe the CClient build. This example project calls iota_client_get_node_info() to fetch node information and prints it out on the terminal. Let’s setup the WiFi SSID and password for your project. Note: ESP32 only supports the WiFi 2.4GHz channel. 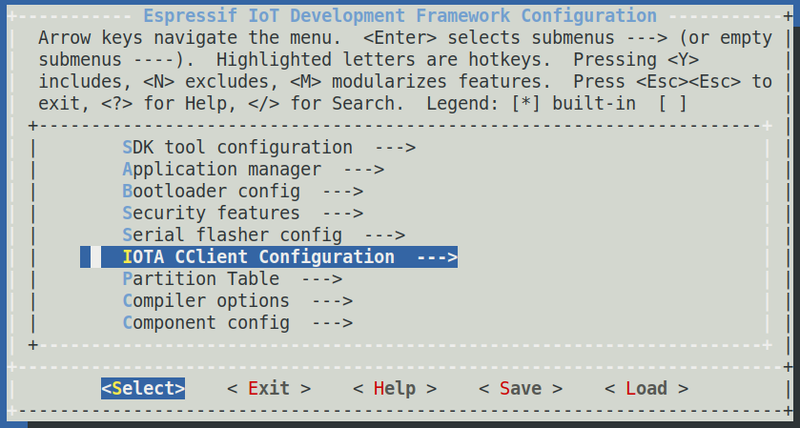 Navigate to IOTA CClient Configuration and input your SSID and password. Now you are ready to build and flash the image to the ESP32. Please connect to the device via USB. And you are up and running. Please join us and continue the conversation on the #entangled-discussion channel of the IOTA Discord.